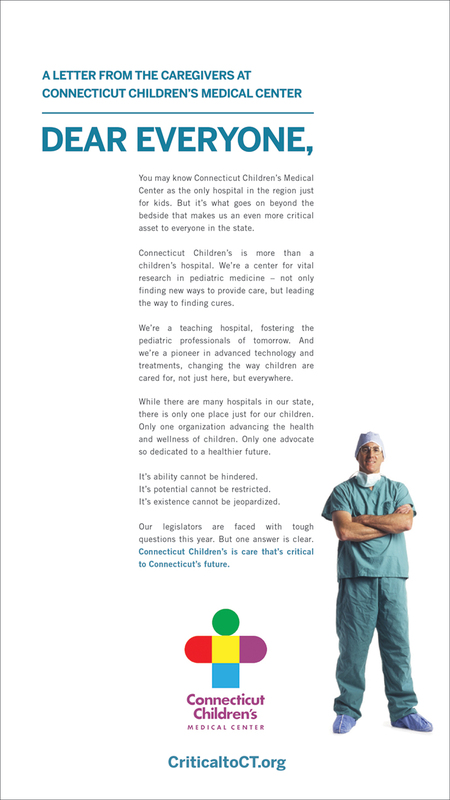 The State's leading children's hospital, CT Children's must go hat in hand to the State every year to secure necessary funding to continue its world class operation. It's always a formidable challenge, but in 2014 it was code red. 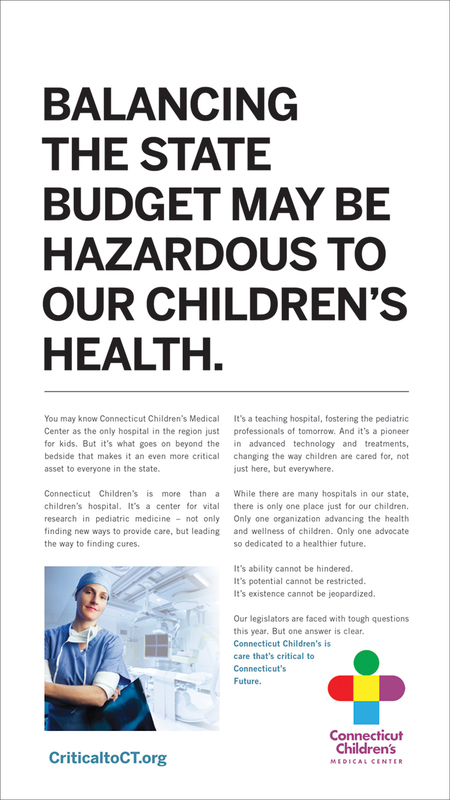 Sweeping budget cuts to all hospitals didn't spare Children's. The cuts were particularly devastating given its unique patient makeup, with a far greater percentage of Medicaid patients, reimbursed at a lower rate than private insurance. 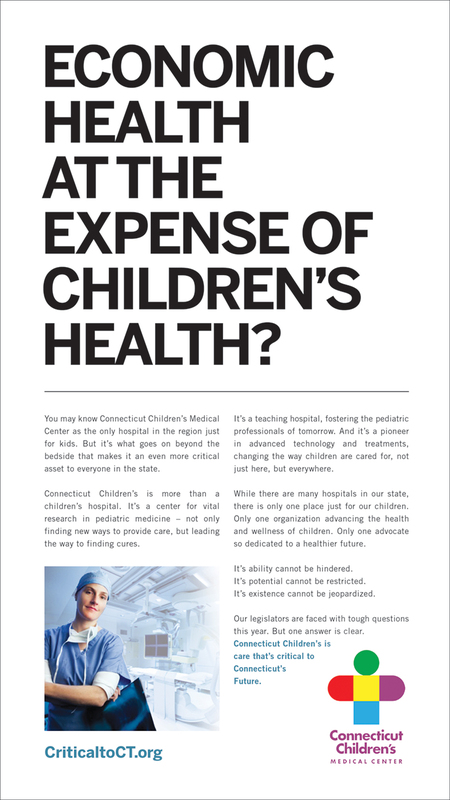 In short, the cuts cut Children's more deeply.We quickly crafted a campaign that reminded legislators just how critical CT Children's is to the health of the State's children, and thus the future of the whole state. Combined with efforts at the Capitol, the campaign ultimately healed the cuts. Not only did they go away, funding levels actually were increased.